JDC - Archives : Workers at a shoe warehouse preparing shoes to be shipped to refugees. Title Workers at a shoe warehouse preparing shoes to be shipped to refugees. 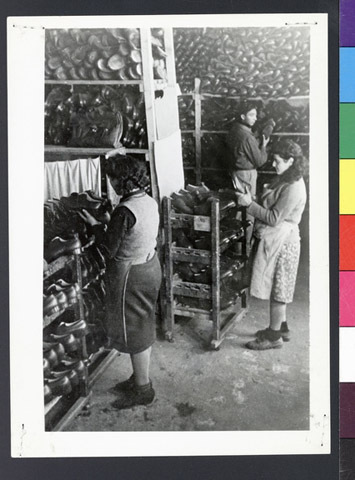 Description Workers at a shoe warehouse preparing shoes to be shipped to refugees in DP camps.